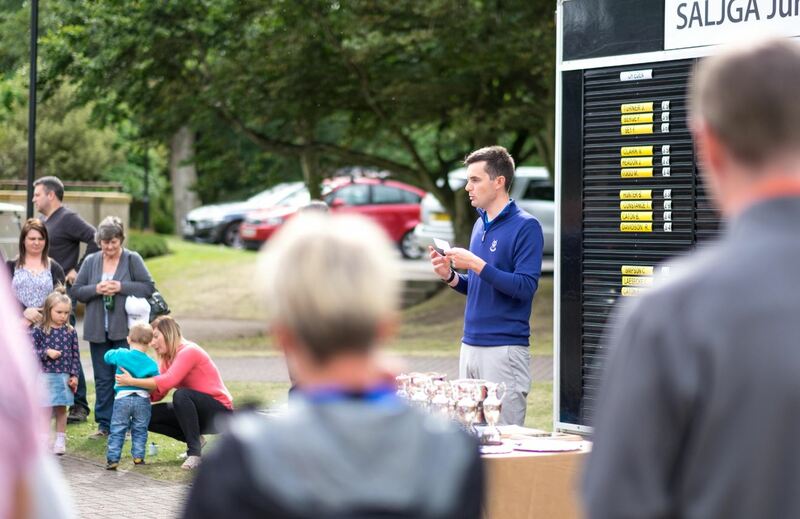 We held the annual St Andrews Links Junior Golf Association (SALJGA) Junior Open and prize-giving ceremony last weekend and it was a great event! 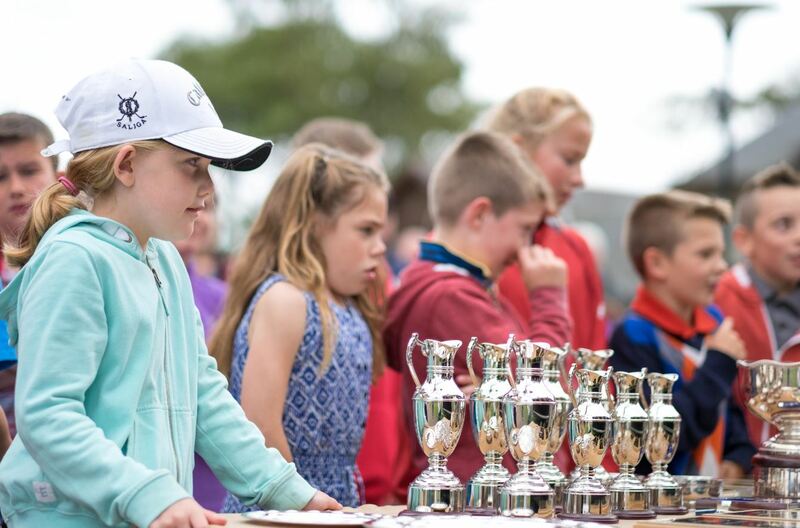 Over 70 young golfers took part across five different competition sections. We were very lucky with the weather and this resulted in some impressive scores. 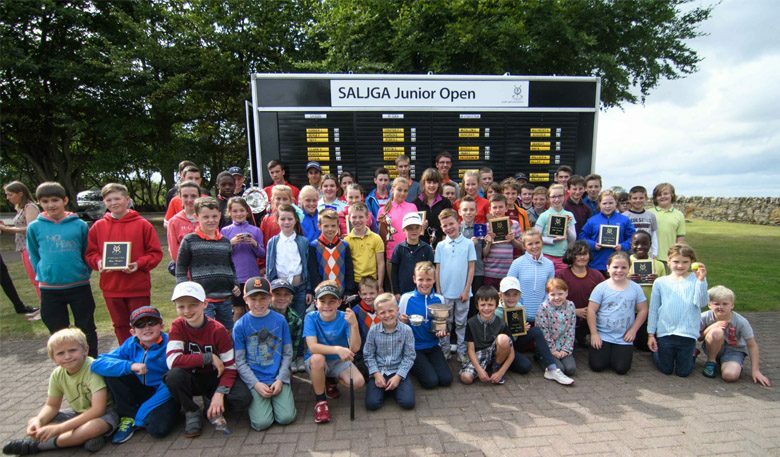 The Junior Open acts very much the season ending event for SALJGA. The day started early doors with the lowest handicapped golfers competing on the Eden Course for the Challenge Tour Title. Pol Berge won the Challenge Tour boys’ section with a brilliant score of 39 points, and Caelan Laesecke took the girls’ trophy with an impressive 32. Also sharing the Eden Course was the Mini-Tour category, which involved all golfers with handicaps above 18. Competition was fierce in this category but in the end Euan Dawson won the boys’ with 34 points and Niamh Headon charged to the girls’ award with a wonderful 39 points. 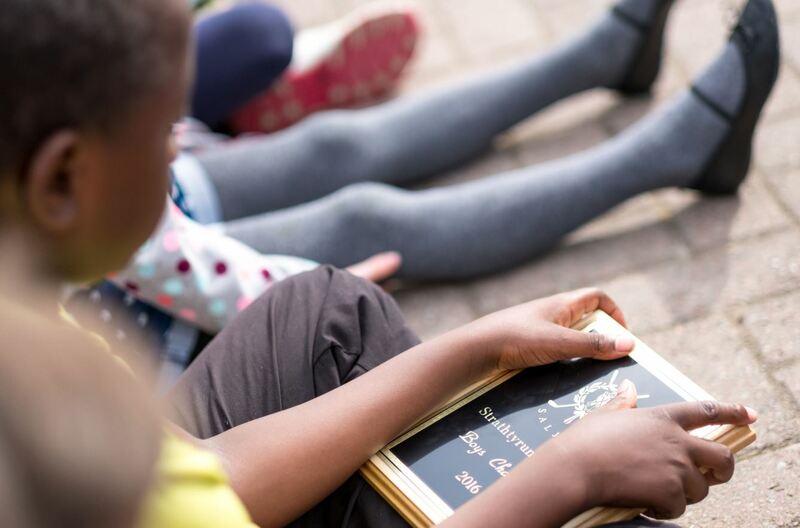 One of the key objectives for SALJGA is to encourage youngsters into the game, get them playing regularly and maybe even help them achieve their first handicap. The kids on the Strathtyrum celebrated this with many playing their first official competition round. It was brilliant to see and everyone in the category should be delighted with how well they played. Aimee McClymont, Abbey Wallace, Tawa Tom and Taylor Wark all received prizes for winning their age categories – a special well done to them! 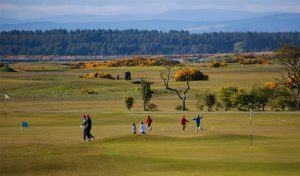 Here at the Links we are unbelievably lucky to have seven golf courses available to play. 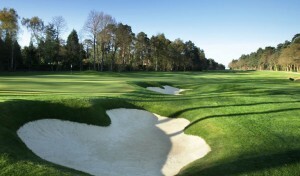 Our only nine holer is the Balgove and this course holds a special place for SALJGA and all of the junior golfers. In most situations, this is the first golf course that our kids ever set foot on and it plays a major role in the coaching SALJGA delivers. 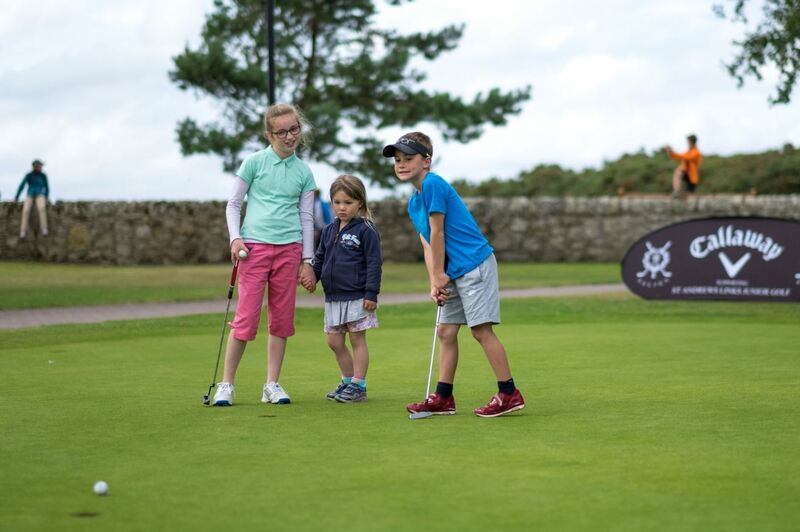 Last weekend the Balgove Course hosted our youngest contingent of SALJGA golfers. 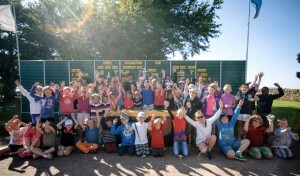 Over 30 kids took part on the nine hole course and they had a blast. Evie Young was the girls’ champions with a great score of 49 and Ross Brown was the winner in the boys’ scoring a very impressive 37. Well done everyone, the future of SALJGA looks very bright indeed! After golf, we hosted a BBQ at the Eden Clubhouse where SALJGA golfers, family and friends all came together to enjoy a nice afternoon celebrating another great year. After the BBQ we held a small prize giving recognising winners from the day and also throughout the season. The season isn’t over quite yet! Next month SALJGA will be competing in matches against St Leonards School and Gleneagles, not to mention a four day tour of Ireland! As the season draws to a close we must acknowledge the generous support that SALJGA benefits from each year in continuing to deliver these amazing opportunities for the kids. A big thank you to our dedicated volunteers who give their time, Callaway who provide all of our equipment and clothing and the R&A who are a massive supporter of worldwide junior golf, and SALJGA in particular is a major benefactor of this.